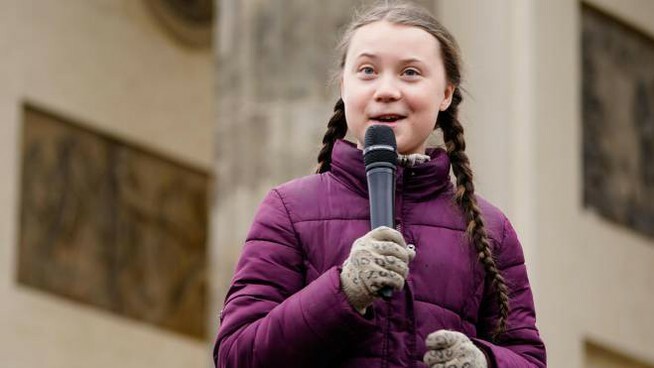 Greta Thunberg, the 16-year-old Swedish climate change activist spearheading a worldwide youth movement against climate change, will lead a rally in Rome’s Piazza del Popolo this Friday. Thunberg made international headlines last August for organising the first Fridays For Future rally, a global movement of school students who swap classes for demonstrations to demand action to prevent further global warming and climate change. The movement has spread to thousands of cities around the world since Thunberg first began camping out next to the Swedish parliament in Stockholm on Fridays with a hand-written sign: “School strike for climate”. Thunberg has since addressed the United Nations and been nominated for the Nobel Peace Prize for her efforts to urge coordinated action on global warming. Thunberg’s visit to Rome was announced by the young activists behind Fridays For Future di Roma. “We hope that politicians understand that the time has come to listen to scientists from abroad and in Italy who remind us that there is no time to lose [in relation to climate change],” they said in a statement. Some 1500 people have said they will be attending the event on the group’s Facebook page. Event organisers are seeking donations to install a carbon-neutral sound system in the square for the occasion, with electricity generated by volunteers pedalling bicycles attached to dynamos. On Thursday, Thunberg will be received by the speaker of the upper house, Elisabetta Casellati, and will speak at the Italian Senate as part of a debate on climate change.